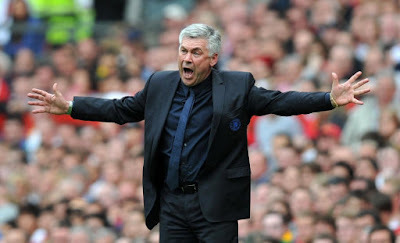 Queens Park Rangers co-owner Flavio Briatore has dismissed speculation linking Carlo Ancelotti with the manager’s job and given Neil Warnock is full backing. The Italian millionaire insists Warnock is the right man to take the club forward and compete in the transfer market as Rangers prepare for life back in the Premier League. Ancelotti had been linked with the post following his sacking by Chelsea last weekend. The former AC Milan boss is said to have links with the QPR board and has a flat in West London with his family. But after Briatore’s fellow co-owner, Bernie Ecclestone, confirmed Warnock was ‘staying – 100 per cent’, Briatore also voiced support for the manager. He claims funds are available to strengthen the squad for their first season in the top flight for 15 years.